A fast-growing compact pickup truck class offers many refreshed or redesigned models but many are also to come to the party. With recently redesigned class leader the Toyota Hilux and contenders like the Ford Ranger, VW Amarok, Nissan Navara, promised Mercedes-Benz pickup, etc. Mitsubishi had to upgrade its L200 model and it did the job well for 2016 model year. With around 330 changes including upgraded underpinning, new turbo diesel engine, refreshed styling and interior, the fifth generation L200 has been ready for the battle. 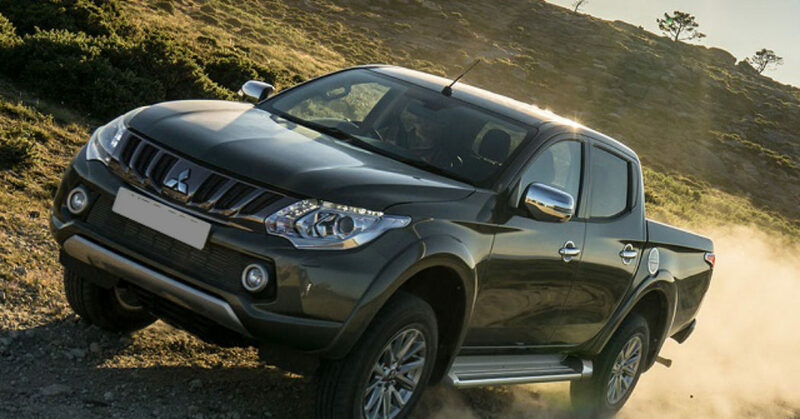 Mitsubishi L200 also borrowed its proven underpinning to the new Fiat Fullback and that also speaks to its credibility. On the other hand, the model will soon enter to its third model year since the redesign but 2018 Mitsubishi L200 isn’t expected to come with big changes. The current generation of the L200 sits on the fourth-generation upgraded underpinning which uses more high-tensile steel and new bracing combined with improved front and rear suspension for better towing and ride performance. The styling was also updated and Mitsubishi won’t change much around the look of the 2018 Mitsubishi L200. The model will again be easily recognizable thanks to its characteristic grille and class largest rear overhang. It will again be available in the same cab styles and we expect same trim options. Interior of the L200 will be comfortable and well equipped. The current generation has got better sound insulation and new seats which improve passengers’ comfort. The double cab models also provide plenty of room for adults. The controls are logical and easy to use and instruments are clear. On the other hand, Mitsubishi will likely update some infotainment system features and could also add some new safety options. The trim options should, however, remain the same. The entry-level models will come with 17-inch wheels, dual-zone climate control, keyless entry, DAB radio, reversing camera, lane departure warning, etc. The next trim should offer xenon headlights, leather upholstery, sat-nav, adjustable seats and so on. The top-of-the-line L200 should include LED headlights, premium leather trim, more chrome details, sportier body kit, soft opening tailgate, unique wheels, etc. Under the hood of the 2018 Mitsubishi L200 will be a 2.4-liter turbocharged four-cylinder diesel engine. This all-aluminum engine exploits variable- geometry turbocharger and variable valve timing which provides better performance, efficiency but with the emissions under the check. The power this engine provides is 178 hp (133kW) and max torque of 317 lb-ft is available at 2500 rpm. The transmission system should again come in manual and automatic forms. The two-wheel drive will be available as well as an impressive Super Select 4WD with a Torsen center differential. The 4WD system can distribute the torque 40/60 front to rear. On the other hand, the towing limit should be up to 4, 090 kg. The new 2018 Mitsubishi L200 is expected by the end of this year. Price range should be close to the current but we expect a slight increase.